1. What do you put on your hot dog? I don't eat hot dogs...too many 'parts' in there for me. 2. Do you play Sudoku? Once in a blue moon. I simply lack the patience to sit that long and figure it out...plus, there are numbers involved and I much prefer letters/words to numbers. Birdie (DD3) LOVES Sudoku and can figure them out speedy quick! 3. What is your favorite vegetable? I NEVER turn down a vegetable including Brussels Sprouts! But, if I had to pick only one, it would be squash. Any kind of squash prepared just about any way! That's a picture of our first squash of last year's spring garden--I was so excited! 4. Do you color your hair? Hell to the YES! I've NOT adjusted to that nasty gray stuff that keeps turning up. It's Miss Clairol and me to the bitter end! 5. What is your favorite brand of clothing? I don't 'do' brands. Much prefer letters to numbers! I have never tasted a Brussels Sprout and never plan to. Heard too many horror stories! So I applaud you! I used to feel the same way about hot dogs. The only ones I will eat is Hebrew National. I know what you mean about sudoku, I prefer scrabble. I'm having squash for dinner tonight! Yay! and I've always said "no" to brands. I'm with you on brand-name clothing. And I don't understand paying big bucks (or little ones) and wearing anything that advertises someone's brand for free. Yes to the letters over numbers thing! And, I agree that there are no bad veg. Like you I will wear just about anything that I love (and can afford) but I do have some favorites. Hi. 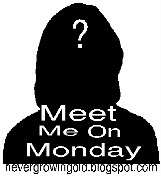 Several of you seem to be doing this Monday blog thing today, and it's funny at how the answers can differ! I much prefer letters and words over numbers any day. In fact, I think I'm dyslexic when it comes to numbers! I don´t "do" brands either. If I find anything that fits, I just glad I found it. Soduko - I don´t get it! I do love veggies, and I could eat squash every single day! I'm actually brilliant at Sudoku...I can do an extreme one in about ten minutes but I don't know my times tables - honest! There is something for you on my blog - just a bit of fun. Thanks everyone for the wonderful comments! I visited everyone's blog and left comments there! Math.... ARRRRRRRRRGGGGGHHH! 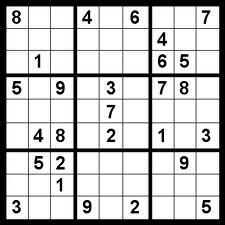 No Sudoku for me. But I love any type of word game. I prefer words to numbers. Brussel sprouts`ew! I like every vege but that one. Just popped by via MMOM to read your answers. I love sprouts and squash too especially when roasted and made into soup. Lol re Miss Clairol and you to the bitter end..me too! This does brighten up Mondays! Love the answer to #4 lol I actually buy whatevers on sale. They all seem the same to me. Haven't colored in about 3 months though so I guess I ought to get on that as I'm a slacker. Almost as bad as me hating to shop. Enjoyed reading your answers. I like mustard on my hot dog. I don't play sudoku but I do color my hair. I like having colors weaved in, it just makes me feel better. 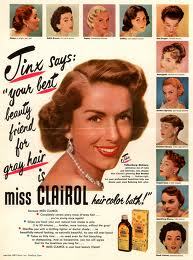 I second the hell yeah to Ms. Clairol. Just call me Nice N Easy #116! 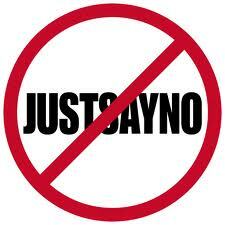 No gray, no way! That was a LOT of fun to read about you! And I LIKE Brussel's sprouts too. Unfortunately too many people pick and eat them too early. They are tasty after a frost. I'm with you. 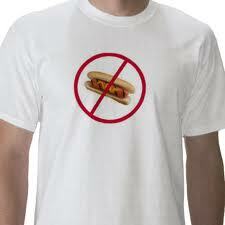 I can't eat hot dogs at all! They turn my stomach.